It’s that time of year again. The frigid wind feels as if it’s pummeling your body during the excruciatingly long walk from North Lot to CAS, just to endure another midterm test. Let me try that again. It’s that time of year again! March is quickly approaching which means only one thing- spring break! Whether you’re going to an all-inclusive tropical resort or chilling at home, spring break is a time for pure relaxation. When I was younger, I thought college spring break meant three things: parties, alcohol and music. I remember watching the spring break spectacle depicted on MTV as students traveled to “typical” spring break locations from Daytona Beach to Panama City, showcasing Veejays, music talent and contests. Dozens of A-list music artists have graced the MTV Spring Break stages including Ludacris, B.o.B, Notorious B.I.G, Big Sean, MC Hammer and Paramore. College spring break “fantasies have been shaped by MTV, which began broadcasting its spring break coverage in 1986 [from Daytona Beach] and over the years has redefined what spring break is all about,” Complex.com’s Josh Robertson wrote. Since the rise of electronic dance music, many festivals have popped up in beach locations during the spring break month of March. Along with festivals, musicians have been known to release new material and albums during this time. 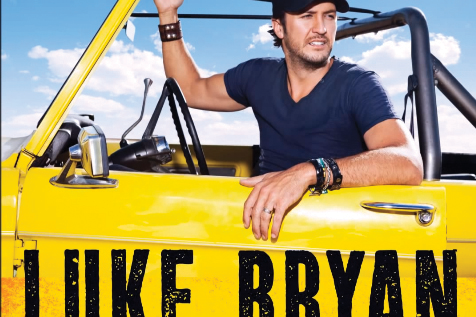 Country superstar Luke Bryan has released five “Spring Break” EPs, featuring songs about suntans, beaches and beer. He is set to release his sixth this year. Emily’s Music Corner set out to find what students associate with spring break, if MTV has instilled certain fantasies and expectations in our minds, and if music is an integral aspect of the spring break experience. After surveying 66 Quinnipiac students using an online anonymous survey, only 38 percent of respondents associated “music” with spring break, while 70 percent associated the words “vacation” and “relaxation” with the break. If you wish to amp up your relaxation, partying or just plain beachin,’ go to quchronicle.com for a playlist to remind you that we are one step closer to the snow melting and those tests vanishing or… just to remind you that summer will come again.